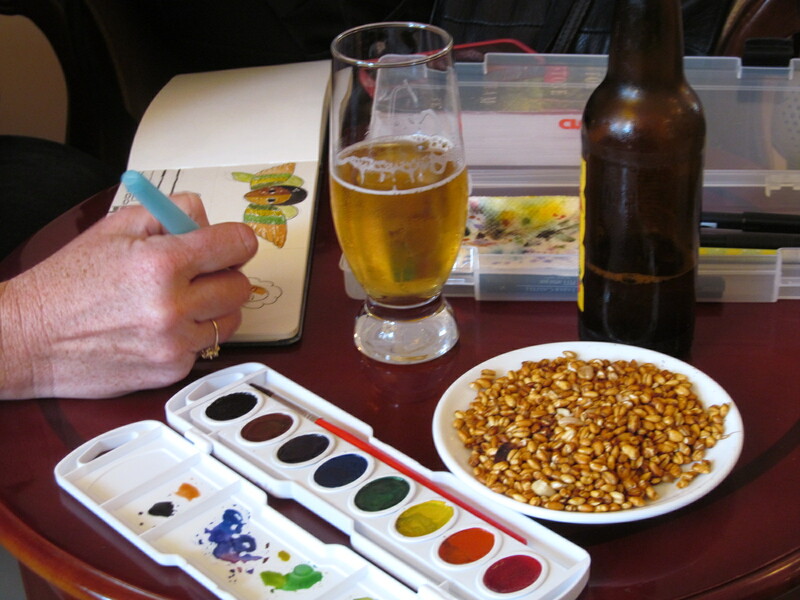 We have satisfaction tinged with sadness today, as our short course came to a close. I hope the students found it as much fun as I did, as we discussed communication messages and how to get them out into the world. We had a wonderful give and take with lots of questions and discussions. Two days just did not feel like enough. We capped off our afternoon with lunch at the Four Sisters–second time, it was so good!–and a shopping excursion across Gondar securing scarves, baskets, coffee and an Ethiopian soccer jersey. We are making friends all over the place, as my student, Dan, is exchanging numbers with some local teens to meet up for a soccer match. Tomorrow starts our focus group testing of rabies messages to see if we can come up wit a campaign that might help change behaviors toward vaccination of dogs against rabies, preventing bites and caring for a bite properly should it occur. There are no words to describe how privileged we feel to be part of this One Health Task Force, and we are not sure how to repay all the kindness we have experienced, especially from our wonderful guide and host Mustafa. Our only hope is that he will join us at Ohio State soon, so we can return the hospitality. It’s amazing that in such a short time, a place so far from home can feel like home. It seems like just a few hours ago that two students came to my house Friday for a sleepover so we could make our 6 am flight headed for Addis Ababa, Ethiopia. 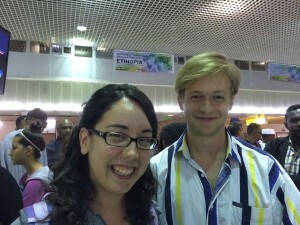 Joslyn and Dan awaiting passport control in Addis Ababa. As we now sit drinking much needed coffee, we realize it’s already Sunday, we have no idea what happened to Saturday, and we can barely remember what sleep feels like. We are, however, extremely grateful for the chance to be part of the 2015 Ohio State One Health Summer Institute, where our job will be teaching communication and helping to craft messages that may help with the country’s rabies epidemic. Since it’s been just eight months since my last visit to Ethiopia, it feels like a homecoming of sorts, but it is also a chance to see the country anew through the eyes of my students, Joslyn and Dan. As I write, we have made a much-needed rest stop at the Jupiter Hotel in Addis Ababa before heading off to our final destination, the University of Gondar. I will be here for a week. Dan and Joslyn for two weeks beyond that. We have already adopted the philosophy of the wise and wonderful Wondwossen Gebreyes, the leader of our venture: Maximum flexibility with minimum expectations. So we celebrated when we found Wondwossen at baggage claim after we flew through Washington D.C., and he came through Toronto. 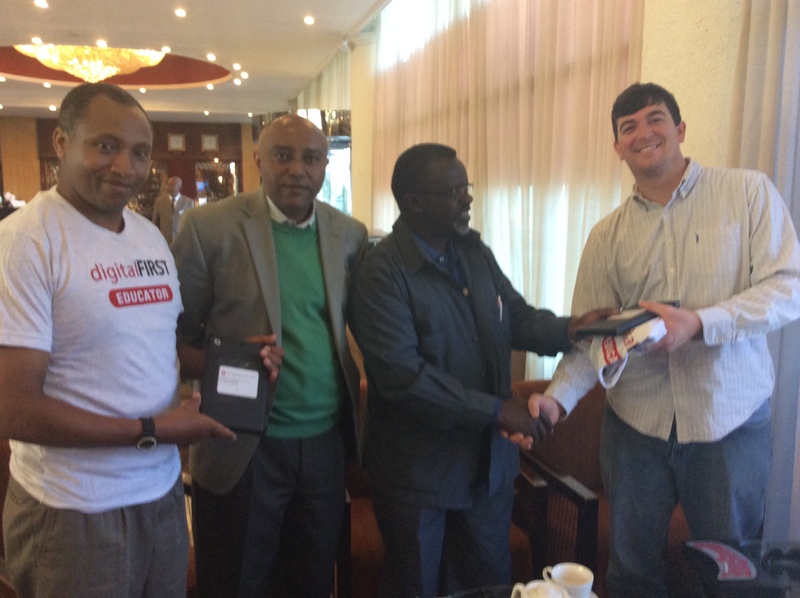 And we did not sweat when Dan missed his flight to Gondar. One thing is sure: This will be another incredible adventure. It is human nature to get used to the routines of life. Commuting to work, the morning coffee, walking the dog, and hundreds of other daily rituals create a level of comfort within our increasingly hectic lives. Being born in America provides an inherent level of comfort. While there is poverty in the United States, most Americans are born into a system of privilege that is not accessible in many areas of the world. Our daily rituals and comforts become second nature, while in other parts of the world these “minor” parts of our day are elaborate luxuries. For example, the United States has a health care system that provides a high level of care inside pristine facilities that contain the latest health technology available to treat and prevent diseases. We don’t think about this, we expect it. We get sick, we go to the doctor, and in most cases we get well. We have a growing culture of preventative health care that promotes healthy living and leads to early detection and a higher rate of successful treatment with many cancers and other diseases. While many countries also share a strong health care system, there are millions of people throughout the world that do not have this luxury. Again, we don’t think about that when we are taking advantage of the health care system, we take it for granted that the system is in place and it will always be there when we need it. Working in higher education, I see students of all ages, ethnicities, and races expanding their knowledge each and every day. The facilities and resources available to faculty and students in the United States are the best in the world. If you can think it and dream it, you can probably get access to an expert that will help you learn to do it yourself. Similar to our American health system, students and faculty often take this infrastructure of knowledge for granted. There is amazing comfort in academia in the United States with freedom to study and be whatever you want to be, as long as you can financially afford the dream. While our college students are learning in the traditional sense within the confines of this comfortable system, many of them are not learning with a global perspective. The experience that comes from visiting a foreign country and getting outside the umbrella of comfort in the United States provides a valuable perspective that will make a person grown not only in knowledge, but humanity and compassion for others. 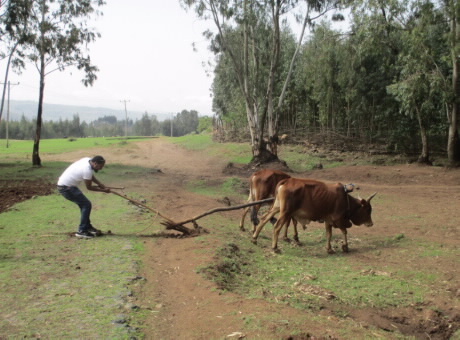 While visiting Ethiopia as part of the Global One Health initiative, I was surrounded by many opportunities to see, hear, smell, feel, and experience things that made me contemplate my own realities and expectations. While meeting with doctors I heard stories about the growing epidemic of pediatric cancer patients in Ethiopia, how many cases of cancers are not being detected until it is too late, how access to the needed treatment is not available when needed, and I saw medical facilities that were inadequate to meet the growing demand of the population. While meeting with veterinarians I heard and saw cases of animal diseases that aren’t being treated because of a lack of awareness & understanding and instances of diseases transferring from animals to humans because of contaminated contact. At the same time I saw and heard a spirited population that is passionate about life, with a rich culture and heritage that is beautifully embraced and celebrated. I saw a level of appreciation for collaboration and the sharing of ideas that I don’t see on a daily basis in the United States. Ethiopia is a country of 96 million, with a median age of 16, who are living in an environment of rapid growth, where building and expansion is outpacing the capacity of the infrastructure, which in turn causes issues from traffic gridlock to water contamination from industrial runoff. 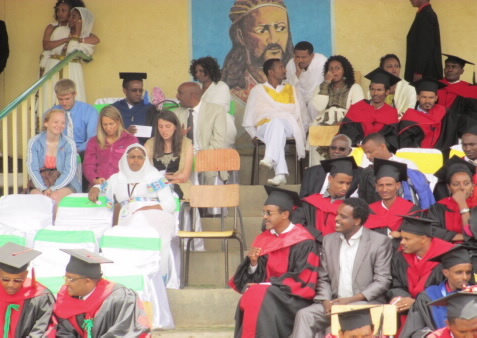 In the past seven years, the number of colleges and universities in Ethiopia jumped from three to thirty-three! They live a reality that is vastly different than that of the average American. As I climb back into my own daily routines in the USA and at OSU, I do so with a different perspective and a greater sense of love for my family, my job, my country, and my beloved alma mater, The Ohio State University. It is my wish for all OSU students to take the opportunity to study abroad and for OSU faculty and staff to engage in global projects. It will truly change your life and open pathways to be energized by collaborating with others in a way that will make a huge impact on the lives of others. Go Bucks, Be Global! I was voluntary and happy when requested to be part of the Rabies Knowledge Attitudes and Practice assessment in and around Gondar. 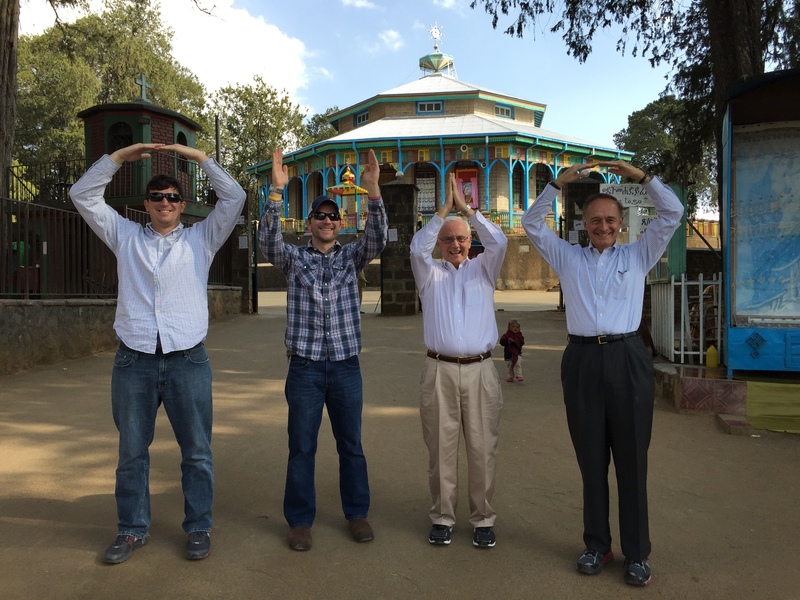 The University of Gondar team was established ahead of the arrival of Ohio State teams, and was made up of lecturers and assistant professors from College of Medicine and Health Sciences (CMHS) and the Faculty of Veterinary Medicine (FVM). Tdele Atnafu form the School of Pharmacy, and myself form FVM went to two districts: Debark and Woreta, 105 km and 120 km respectively away from Gondar. 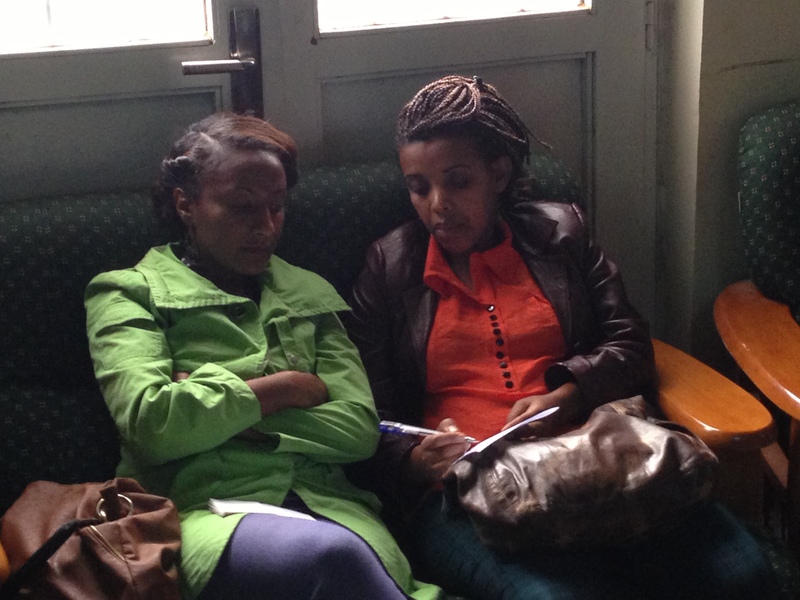 Dr. Reta Tesfaye (FVM) and Debasu Damtie (CMHS) went to different places in Gondar. 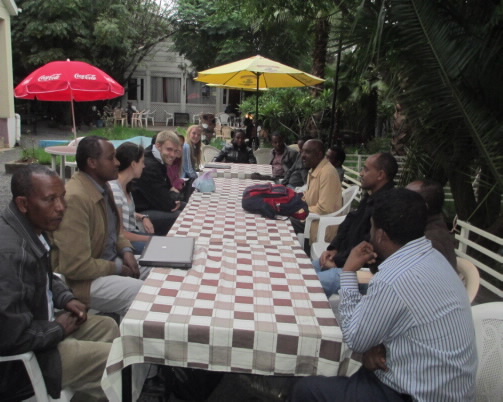 The mission of our team in these different places was to contact responsible government bodies and to discuss and debrief the rabies project objective in Gondar particularly, as well as Ethiopia at large, before beginning work. The Faculty of Veterinary Medicine, UOG, Welcoming Ohio State students at Hotel Lamergeyer. After the arrival of the Ohio State team, Dr. Wassie Molla, coordinator of the project from UOG, held a meeting to allow the teams from Ohio State and UOG to meet and discuss the interview questions, recording on the ipad, and consent of interviewees at the meeting hall of FVM. The next step was to start the job– interviewing various individuals and professionals as per the project proposal. Interviewing individuals is not an easy thing to do. However, our prior communication and discussion helped us to interview efficiently. Everyone was welcoming and eager to participate in these interviews. As we continued on, I began to see how important the issue of rabies is, and how much it affects my country. Everywhere we went people stopped their daily activities to meet with us, allowing our groups to finish interviews more quickly than originally anticipated. Due to our efficiency, our teams were asked to take on the challenge of an additional city and we did so in stride. In total we surveyed four cities and conducted approximately 280 interviews in eight days. 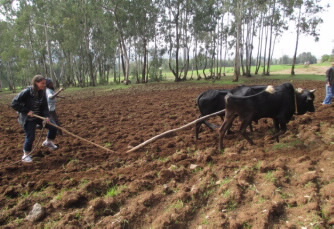 Because, it is cultivation season, the periurban community leaders and communities were super busy plowing. At this critical time, it was necessary for us to meet this group of people for the interview. Then we decided to participate in plowing! (Ally, Ohio State 3rd year Vet Med student). 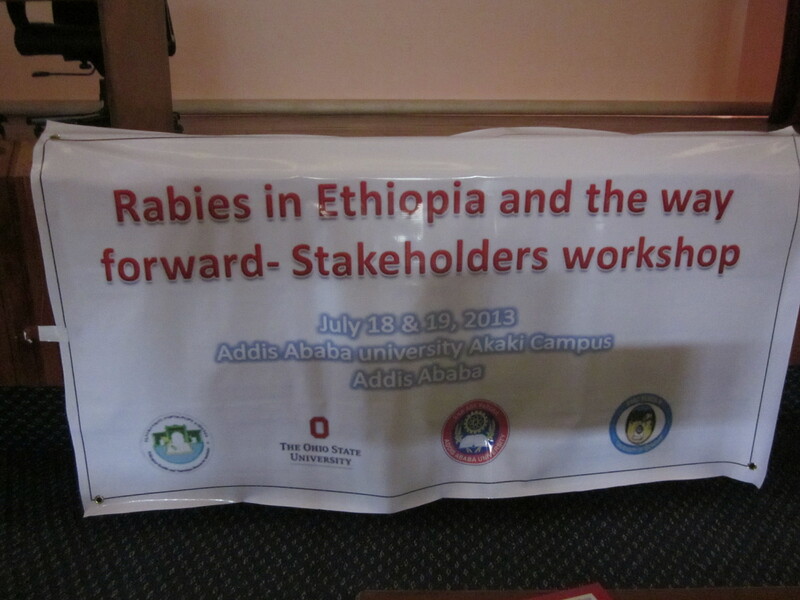 We then went to Addis Ababa to attend the rabies stakeholders workshop, held July 18-19. 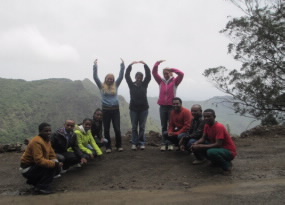 I am having an immense experience working in a team, appreciate learning about a different culture, and developing more friendships among the Ohio State team and from the University of Gondar as well. Mr. Berihun (lecturer, Department of Nursing) did well plowing. 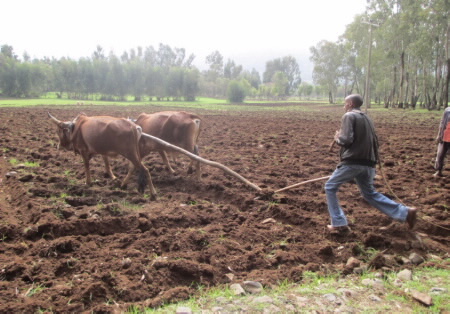 The farmers were surprised when he started pushing the oxen. 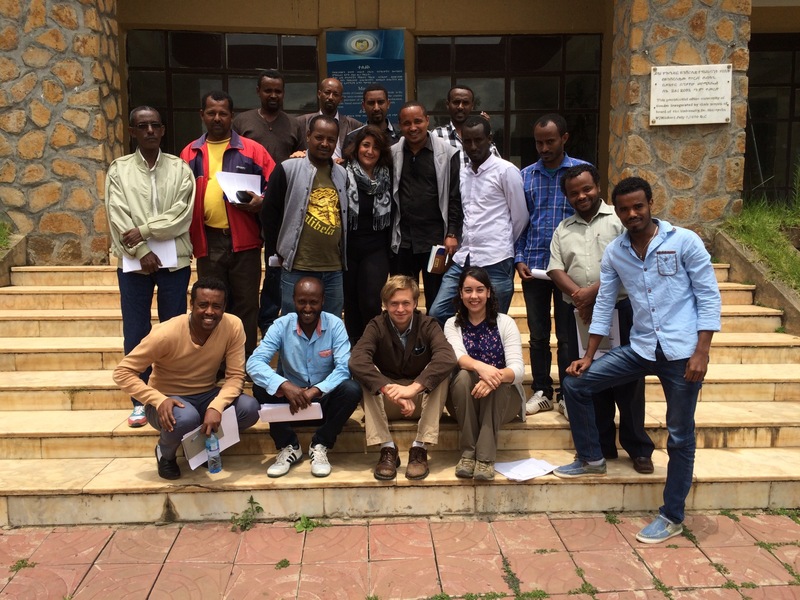 The UOG–OSU rabies project team members after successful interviews of various target groups of the study at Debark, 105 km from Gondar, where UOG is located. 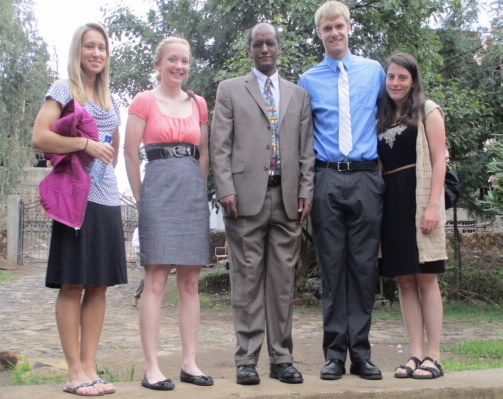 Dr.Baye Molla and the OSU students (Laura Binkely, Karissa Magnuson, Korbin Smith and Allyson Sterman) before getting to attend the graduation ceremony of the UoG on July 6, 2013. The MPH-VPH program started admitting students in 2012. The program was made successful due to the significant contribution of Ohio State professors. Dr.Molla (Ohio State professor) with two of the first batch of MPH-VPH graduates on June 6, 2013. 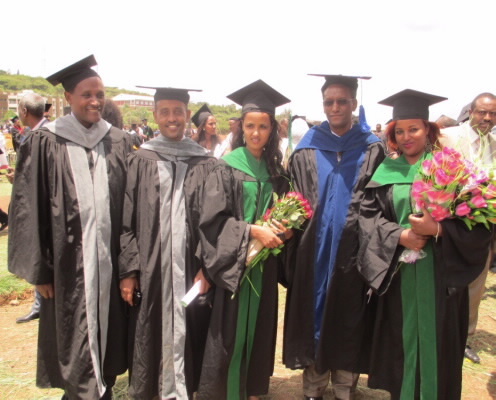 The MPH-VPH students have green striped graduation gowns.From Left to Right: Dr.Achenef Melaku- Dean of FVM, UOG. Dr. Sileshi Nigatu- Head Department of Veterinary Public Health and Epidemiology. I had the privilege of facilitating a 1.5 day workshop for stakeholders committed to the control and eradication of rabies in Ethiopia. 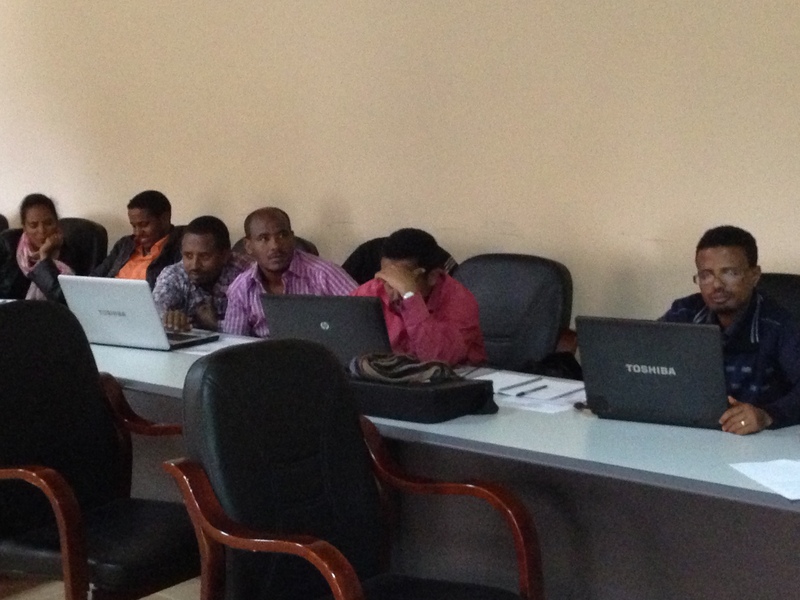 We had approximately 70 registrants including representatives from a number of agencies such as the Ethiopian Health and National Research Institute (EHNRI), Federal Ministries, Center for Disease Control (CDC); partners including conservation, environmental, research and vaccine development groups, as well as a host of faculty and students from the University of Gondor, Addis Ababa University, and The Ohio State University. 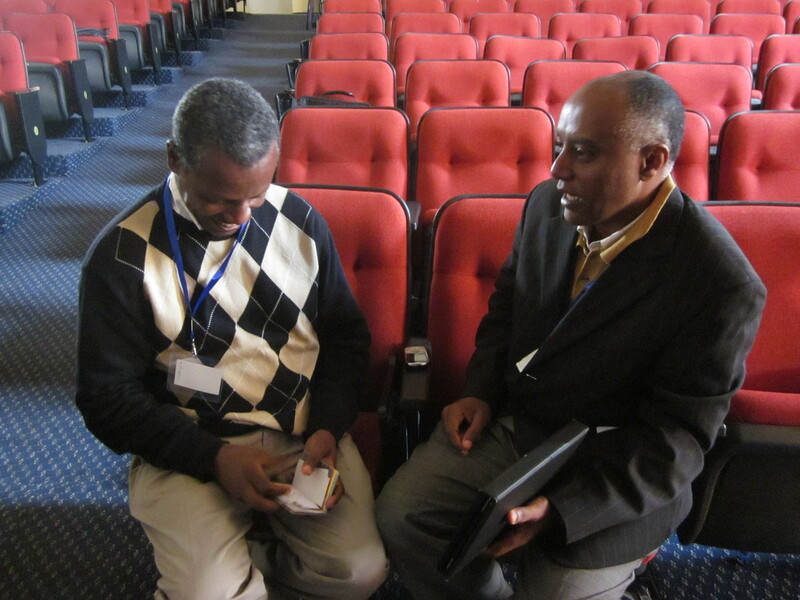 Dr. Hailu Mamo, Research Coordinator from ENHRI and Dr. Wondwossen Gebreyes from OSU, two of the meeting organizers working on details before the start of the session. 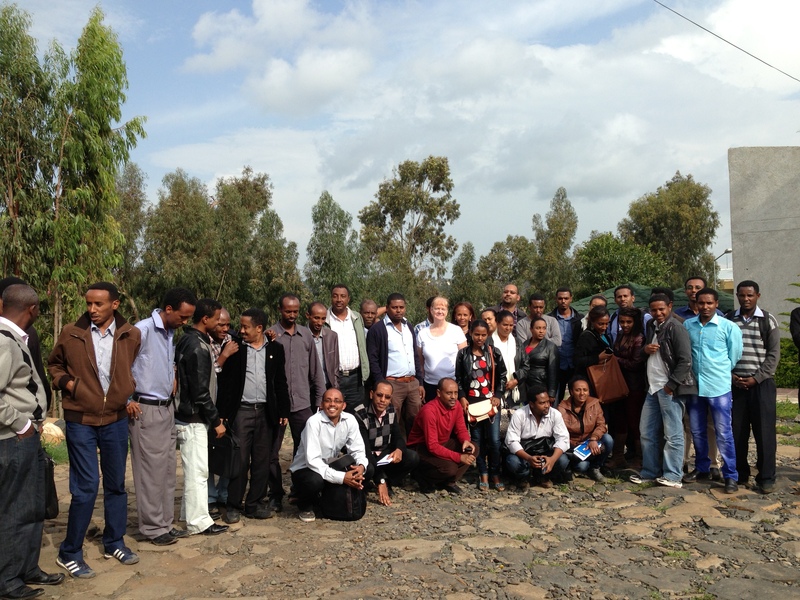 While not everyone could make it for all of the sessions on both days, we had 45-60 participants in each session which demonstrated the importance of rabies control in Ethiopia. 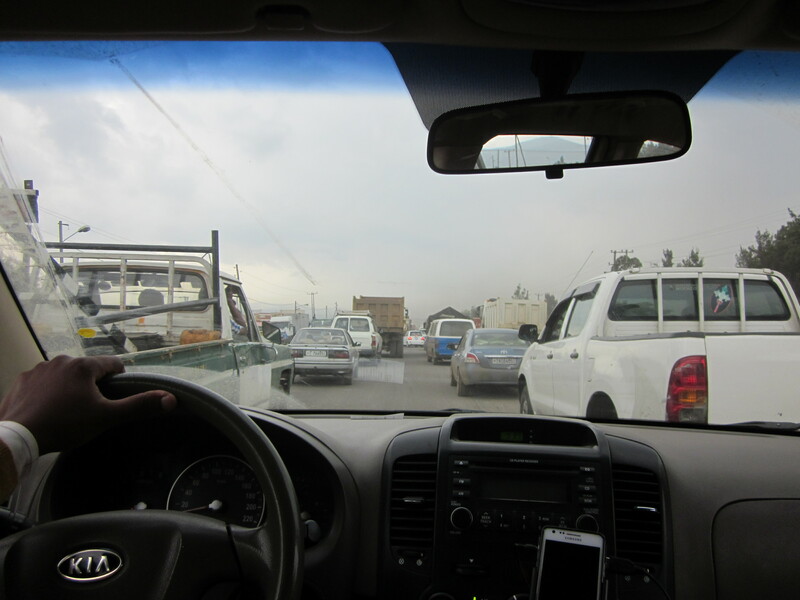 Particularly when you consider that the session was held on a regional campus approximately 23 km outside of downtown Addis Ababa that required navigation through substantial traffic! We utilized a very powerful workshop format that we at the College of Veterinary Medicine like to call “Focus Forward.” This format included overview presentations, facilitated small group discussions, identification of common recommendations by a “theme team,” and prioritized voting through participant clickers. 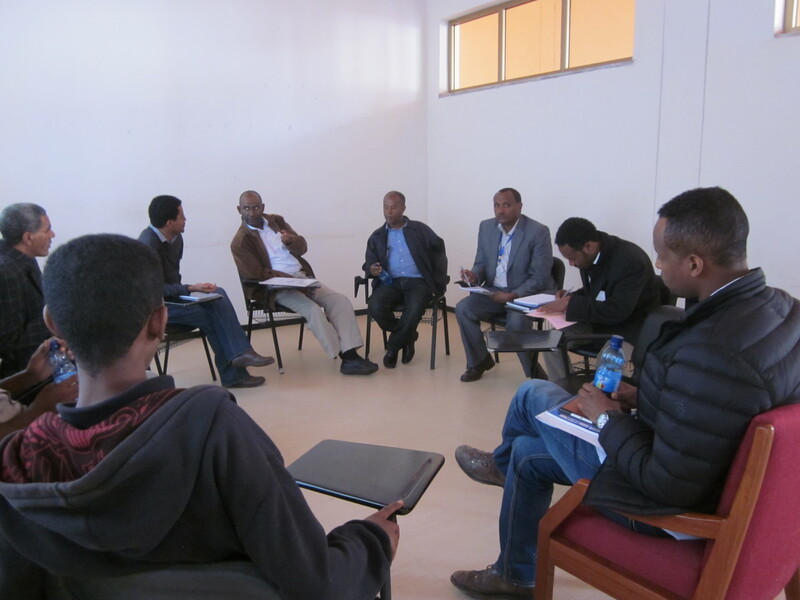 Dr. Tamiru Berhanu, a veterinarian and lecturer at the University of Gondor (UOG), served as one of our small group facilitators. Dr. Tamiru Berhanu is one of the partners for the rabies collaborations between the University of Gondar and Ohio State. I learned that in Ethiopia, it is common to refer to doctors by their first name, so Dr. Berhanu rapidly became known to me as Dr. Tamiru. Once I figured out the Ethiopian way of addressing people, it became a lot less confusing to sort through our excel spreadsheets of the participant list! 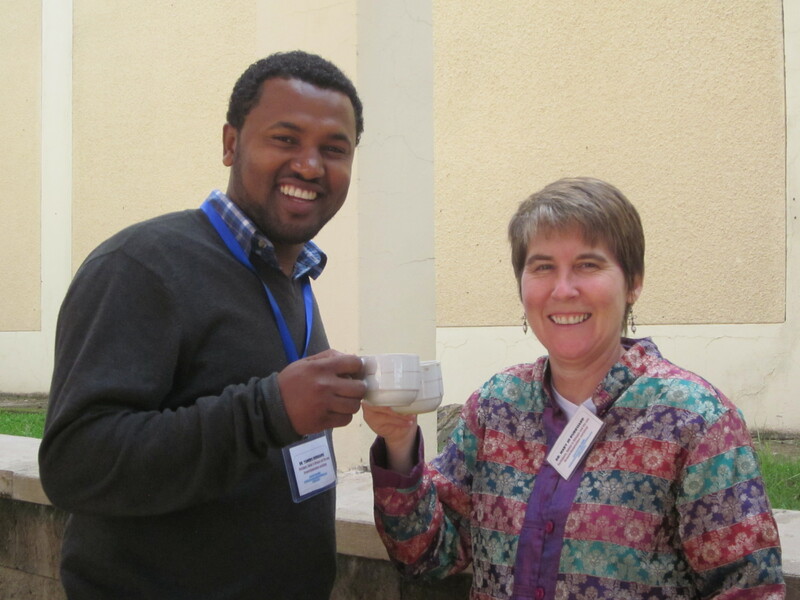 Tamiru Berhanu, a partner for the rabies collaborations between the University of Gondar and Ohio State, and Mary Jo Burkhard. We had four main topics to cover in the workshop: surveillance and reporting, how to identify people exposed to rabies and develop standards for immediate care of bite wounds, controlling rabies in the dogs and other animals, and education for both urban and rural areas. During the breakout sessions, diverse teams of experts discussed these critical topics. 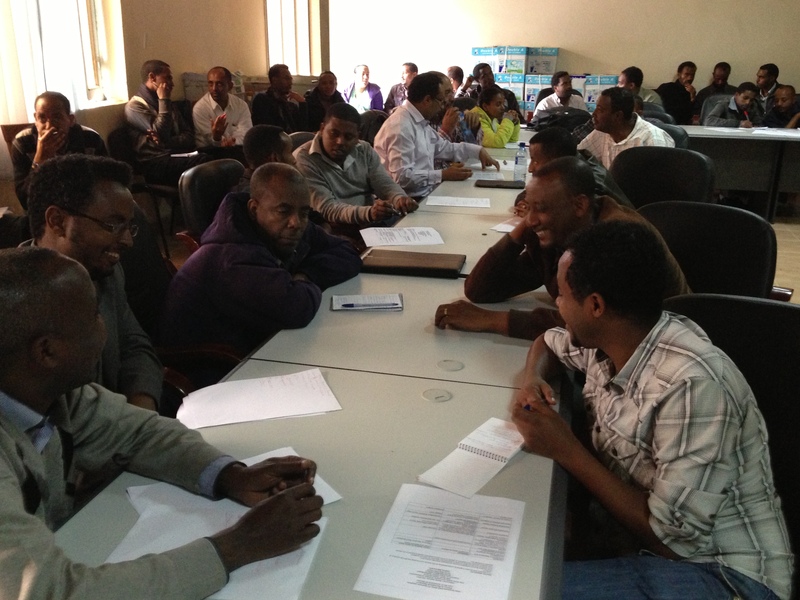 One of the strongest themes that arose in all of the sessions was the need to include traditional Ethiopian healers in the process by combining culturally-accepted, traditional methods of treatment and training of traditional healers with rabies vaccination programs and current medical treatments for bite wound care. Here, Dr. Debasue Damtie (at right, taking notes on participant responses), a professor from the University of Gondor, leads one of the breakout sessions. Even though I spent nearly all of my time in the workshop rooms, I learned a lot about Ethiopian culture just from listening to the discussions and hearing the recommendations. However, I am also looking forward to seeing more of Addis Ababa over the next couple of days now that the conference is over and personally experiencing more of the Ethiopian culture! 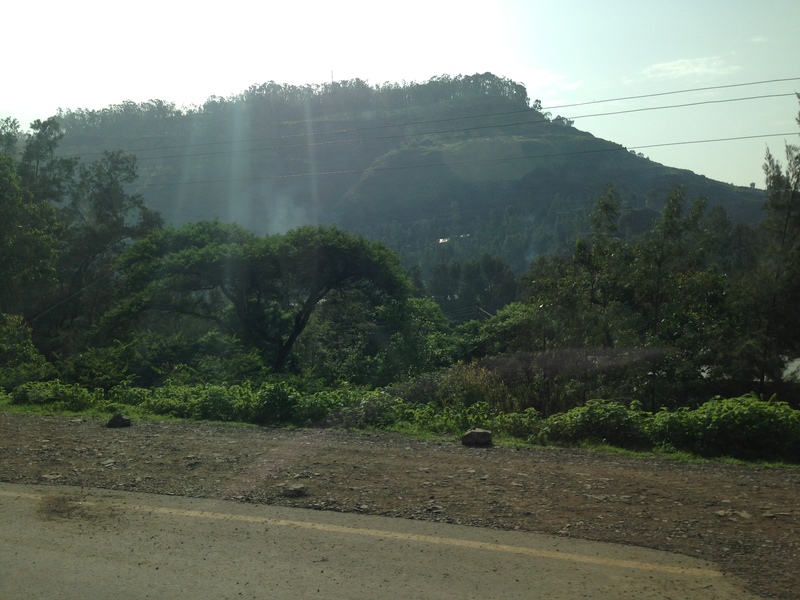 After a week of traveling around the Gondar region, our travels brought us to a city named Bahar Dar. Here is where the Nile River begins, Lake Tana (the largest lake in Ethiopia) is located, and the Blue Nile Falls are located. Our partners wanted to show us what a traditional Ethiopian dance club looked like, so after dinner we headed out on what would be one of the most memorable nights of my life. We arrived at the club and there was a small stage with four musicians. 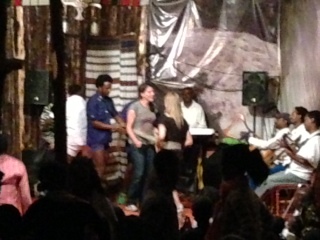 They were playing a few traditional Ethiopian instruments and a few modern ones like the electric keyboard. The more traditional instruments included a kraar, which is five- or six-stringed bowl-shaped lyre. There was also a masenqo which is a one-stringed lyre. The instruments supported the vocalists who came out and sang a variety of songs. However, the highlight of the evening was the dancing. 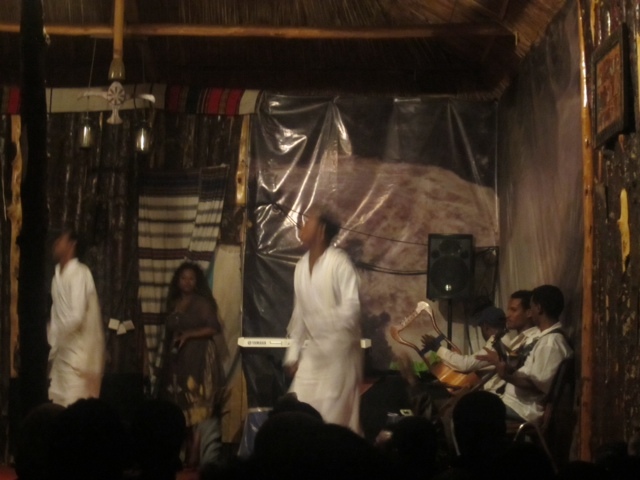 One set of dancers were two brothers who we had seen dance before in Gondar. During one of their songs they grabbed Laura (another student working on the rabies project) and took her up on stage to dance. After another few songs, a different dancer came out. We had the chance to watch him for a short period of time before he danced over to where we sitting. He again grabbed Laura and tied her to him, and then grabbed my hand. The two of us were pulled on stage to dance in front of everyone. Another gentlemen from Israel was also grabbed and brought on stage. Laura and I soon found ourselves being tied together to have a dance-off (pictured left). This style of dancing is not quite what my years of dance had prepared me for but I tried anyways. After a few minutes it was over and we headed back to join the rest of the group. Our partners were proud of us going up there, though it was clear our dancing skills left something to be desired and more practice is definitely necessary. 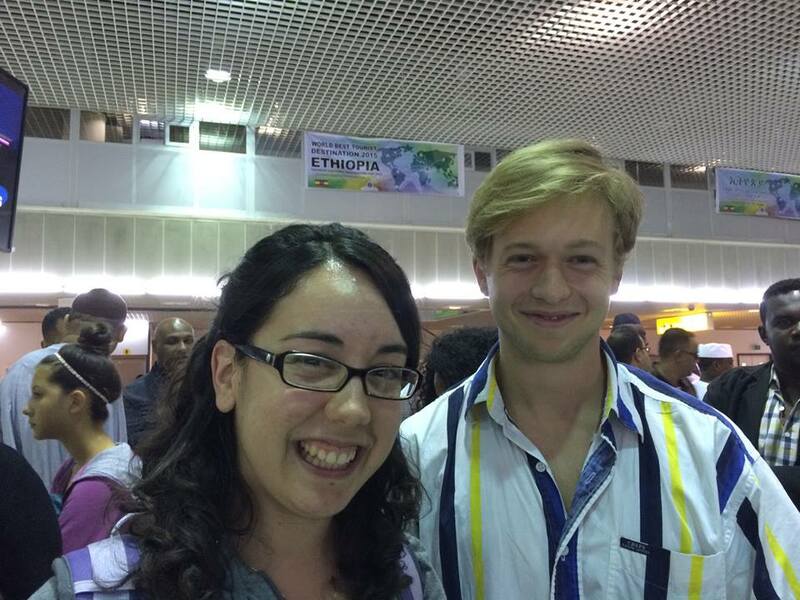 This was one of my most embarrassing experiences yet here in Ethiopia, but also my most memorable. 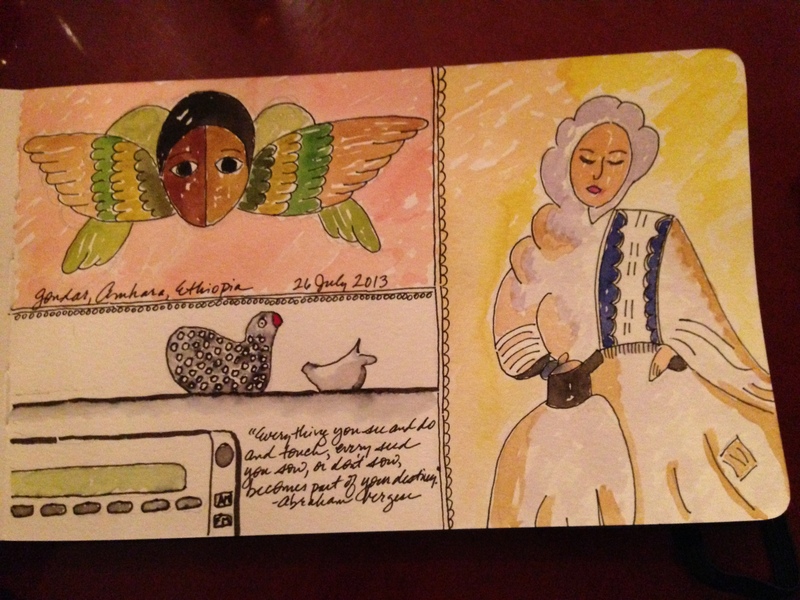 I was on Skype with my Mom during our last week in Gondar. Back in Columbus, she was telling me about the new washer and dryer that arrived while I was in Ethiopia. The two were installed six inches apart. They are finding that this is just enough space for things to fall down and get lodged perfectly. It sounds like a hassle. Then, they asked me what I thought it would feel like to go back home to Columbus. I said I didn’t think I could go completely back home. Of course, I have missed my wife and my sons Joey and Brian. I am looking forward to seeing my friends and sleeping in my own bed. I have missed our cat and dog. But there are plenty of other things I have not missed. I have not missed how I let my day get off to a bad start because it took three extra minutes to park. I am not looking forward to returning home and obsessing about the invasive thistle plant messing up our lawn. I have not missed the conversations about washers and dryers in our air-conditioned homes that are six inches too far apart. These things seem important to us – but I can see now, they are not. I have no right to complain about a three minute parking spot hunt to the woman I saw in the asthma clinic who had wheezed and walked for three hours to get to her 9 a.m. appointment. I promise not to complain about the thistle growing in my back yard. I’ve learned that because it grows so well in almost any condition, it is an ideal forage food for work animals in the Ethiopian mountains. Finally, I pledge to think of my new friend and colleague, Charles Turner, who told me about mango fly larvae burrowing under the skin when clothes are hung out to dry. I will think about his stories from his adventures teaching nurses all over Africa the next time I agonize over whether to pick “Whites – hot” or “permanent press – cold” on the washing machine. And if that fails, I’ve asked my friends to give me a good smack upside the head. Or, I’ll think of my friends in Ethiopia.